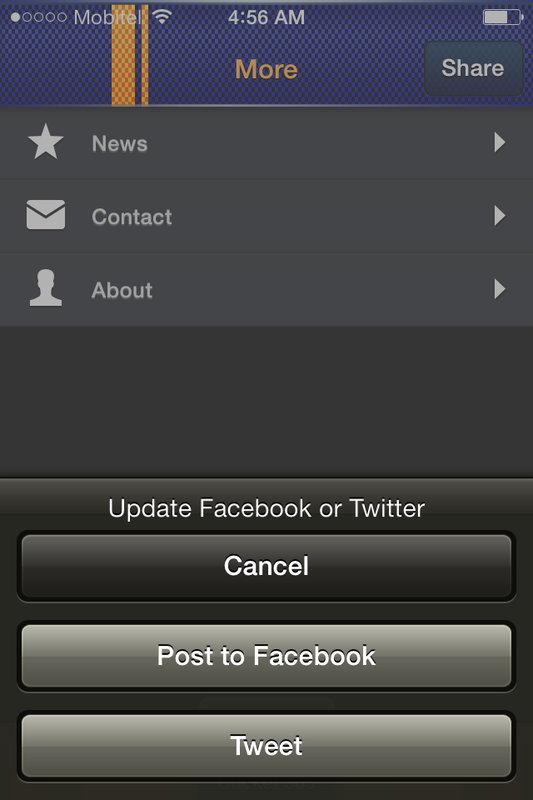 Sanhinda iOS app was my very first personal app, which I have submitted into Apple AppStore way back in December, 2011. 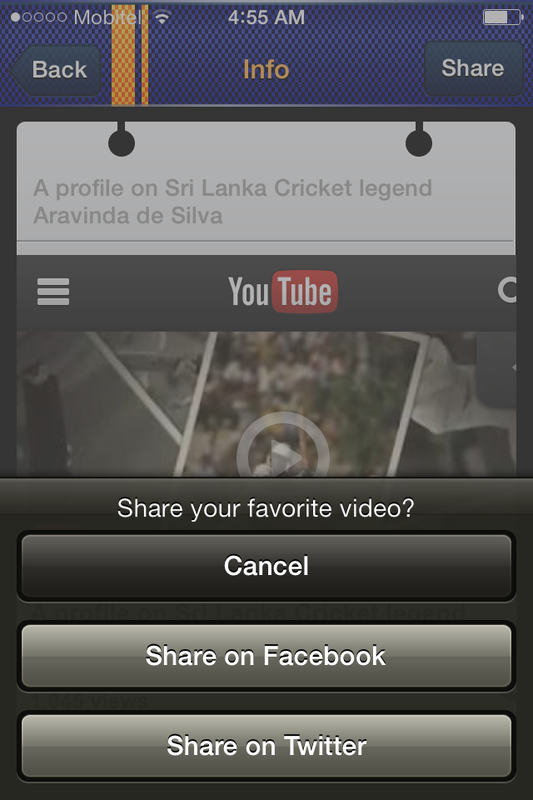 The initial version was written in Objective-C and the app helped to type in Sinhala using the English Keyboard on iOS devices. 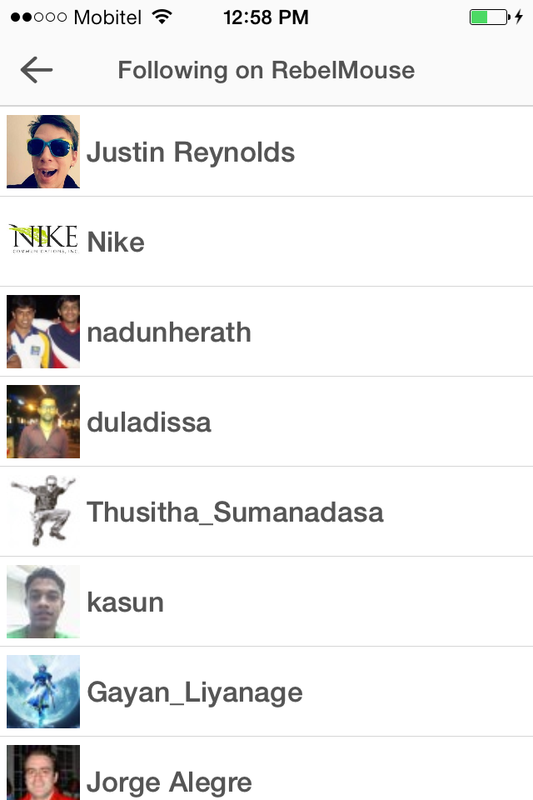 The app got huge attraction in 2011 and reached #1 rank in Sri Lanka Apple AppStore on 22nd December, 2011. 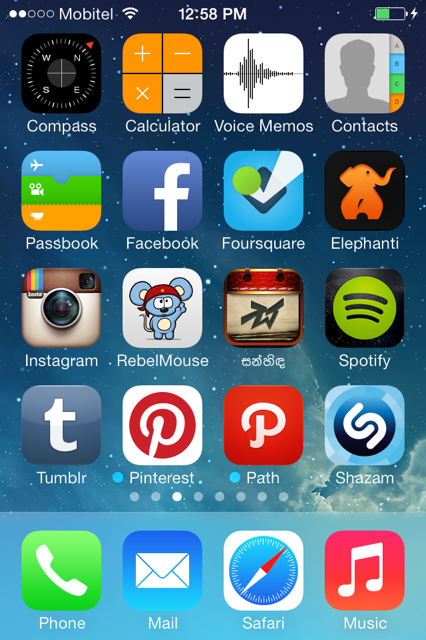 The design for this app was done by one of my friend Julian. 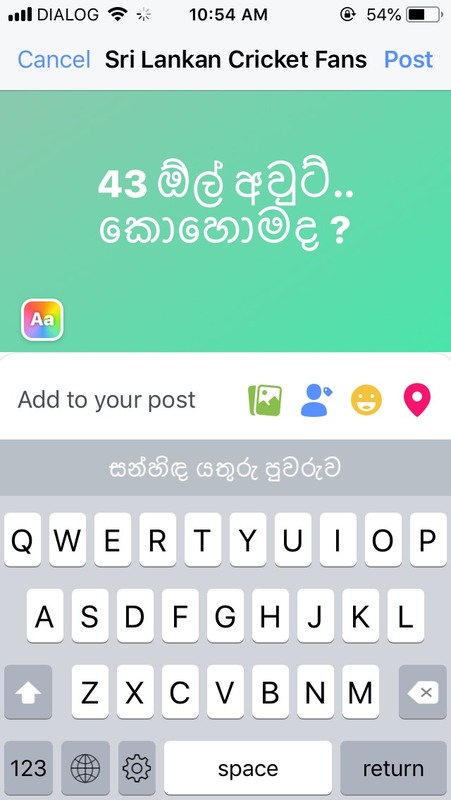 After a while, I have totally forgotten this app and recently a person I have met got a requirement to type in Sinhala, but the existing apps on iOS lacked ability to type letters with yansaya (ex. ද්‍ය). What I noticed was my old app was not compatible on iOS 11 and also the app is not having the custom keyboard (This feature was later introduced on iOS 8). I thought I would re-write the app in Swift to support this requirement to help anyone wanted to type Sinhala properly on iOS devices. 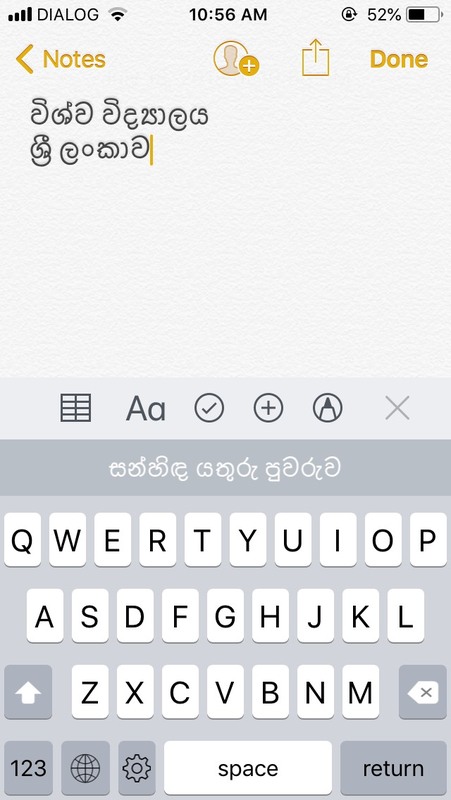 Therefore, I have re-written the whole app in Swift with an additional Sanhinda Sinhala Keyboard Extension, which could be used to add additional keyboard into iOS device keyboards list. As well as that you could also learn to write using Sanhinda iOS app and its helpful note pad. 1. Download and Install Sanhinda iOS app from Apple AppStore. 3. Select සන්හිඳ Keyboard to add additional keyboard to type. 4. You can switch between keyboards using Globe icon in English keyboard. CoinTracker (Cryptocurrency Portfolio Mobile App) has been my pet project for last couple of months and it has been very much appreciated by cryptocurrency users around the world since its first release in late September. 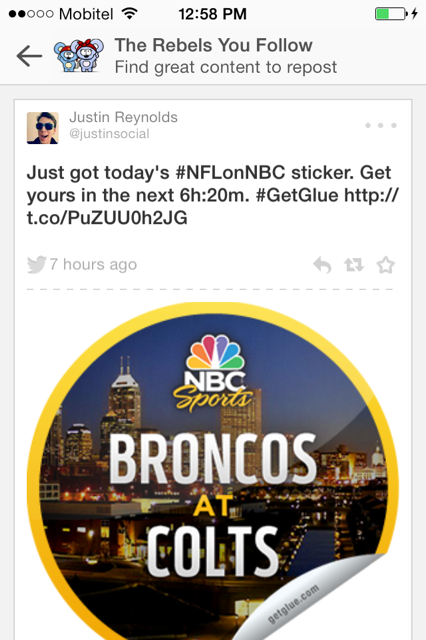 As lots of requests came in I was very much excited to give new features for this app during last month. Very much CoinBase like beautiful hourly, daily, weekly, monthly, yearly, and all time charts was one of the many exciting features added during a small amount of time. The last main update with version 1.1.4 was to introduce an in-app purchase to expand the cryptocurrency set support to 1000+ full cryptocurrency list. I was so quick to release this exciting feature in Saturday (4 November) with one time payment of 0.99 USD to unlock full cryptocurrency set. Interestingly it was approved so fast just few hours waiting for review in queue. That was so fast, when I realized the receipt validation had happened against Apple’s Sandbox server. Soon after I have submitted an update 1.1.5 Saturday night itself but had to wait couple of days to get it approved on Tuesday (6 November). This fixed version unlocks portfolio tracking, beautiful charts and all other free features with a limited cryptocurrency set to a cryptocurrency set of over 1000+. I was able to have money for a coffee in a single day (appeared in iTunes Sales Reports) and so excited about encouragement given by its users. I always had an idea to build a Stock Tracker mobile app and started working on it on my spare time and suddenly had to give up, as there were no free public APIs to access necessary data in different stock exchanges. Meantime one of my Crypto interested friend suggested about this idea about lack of a good cryptocurrency portfolio iOS app, which resulted in changing that Stock Tracker design from light theme into a dark themed Coin Tracker iOS App. The research and development was pretty quick for the initial version and have got so many ideas to extend the basic version into much more sophisticated cryptocurrency app. 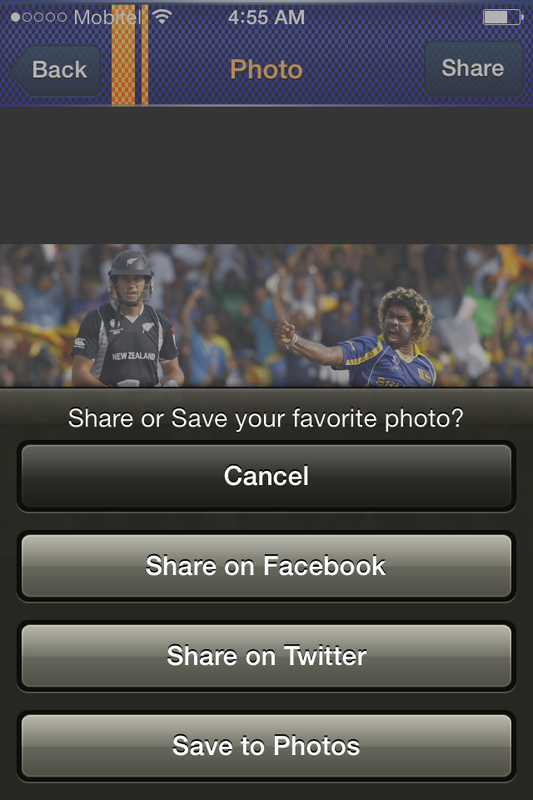 Meantime, you would love to download this interesting app from Apple AppStore with following link. 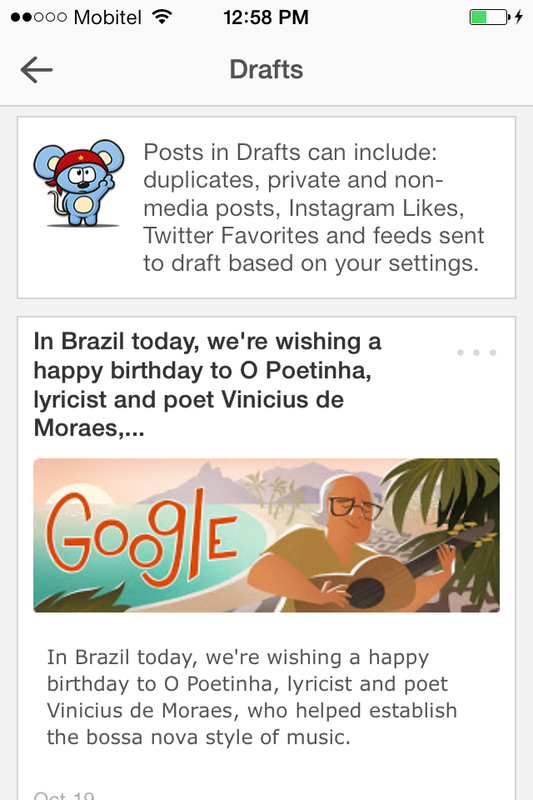 I have added couple of app previews and few screenshots to make you more interested about this app. The guide for Gitlab Android CI integration contains information on how to integrate CI with Gitlab. But the official guide contains little bit out dated .gitlab-ci.yml file. The script in yml tries to download a tar file but the latest sdk contains as of zip format. Therefore I had to modify the script slightly to download the right android sdk and set the $ANDROID_SDK_HOME correctly with the above change. If you have trouble setting up Android CI for Gitlab project please try using the following code in gitlab ci yml file. If you want to run unit tests for debug only with more details use the following command instead. 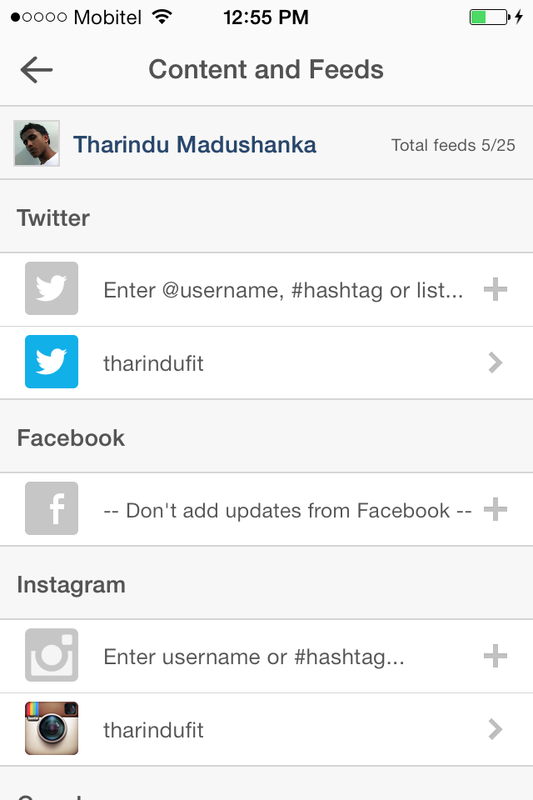 During last few months at Vesess, we have put immense effort bringing the Hiveage iOS App. Hiveage mobile app is for online invoicing and time tracking on the go mainly. Some of its other features include sending estimates, billing, managing connections, taxes, discounts, shipping, saved categories, branding and much more. Hiveage iOS app is in par with all other competitive alternatives Freshbooks for invoicing or Harvest for tracking. Hiveage brings all these features comprehensively with unique user experience. Even though app is available only for premium users, Signing up via web site enables to use app in trial mode for two days with full experience. Hiveage is one of the best online invoicing and tracking tools available today and we’re pretty happy to bring the continuously evolving app for our users. Here are few resources about our Hiveage iOS App Design, Development and Announcement. 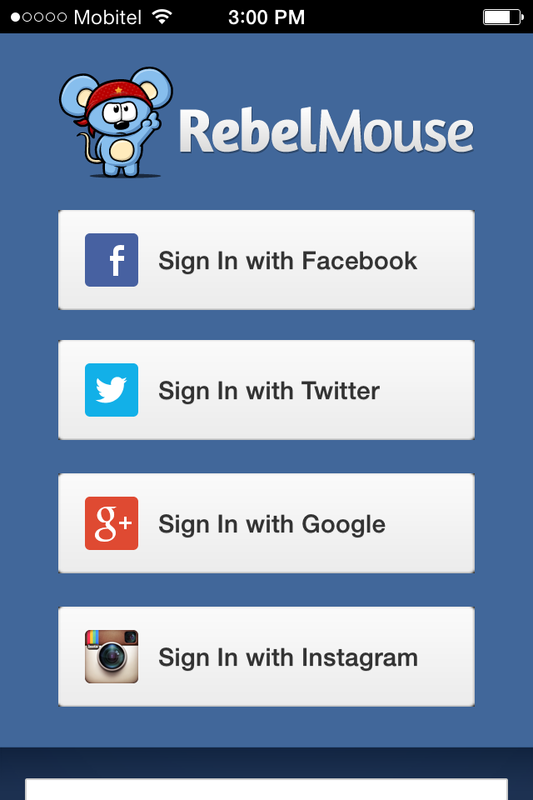 It’s been nearly 3 years since I have first joined RebelMouse and it has been so wonderful to be part of this awesome team. 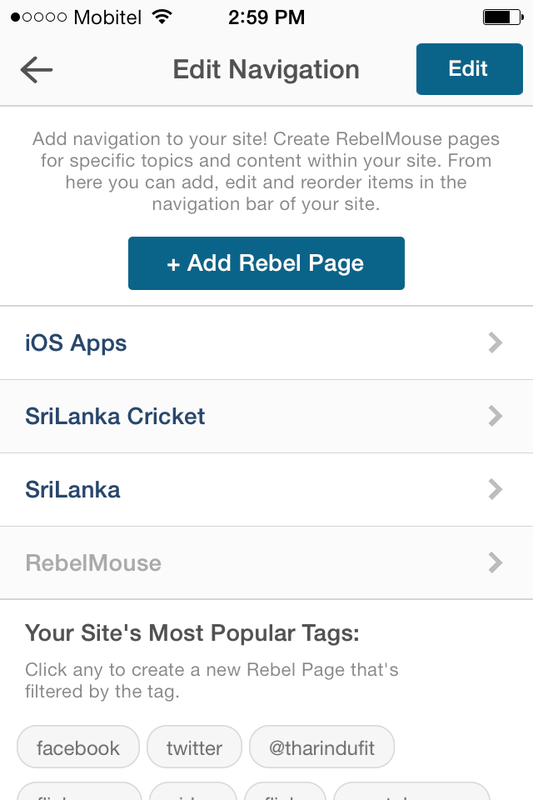 During this time I was very happy to be part of developing some nice RebelMouse powered iOS apps for iPhone, iPad & Apple Watch, which are available to download on Apple AppStore. 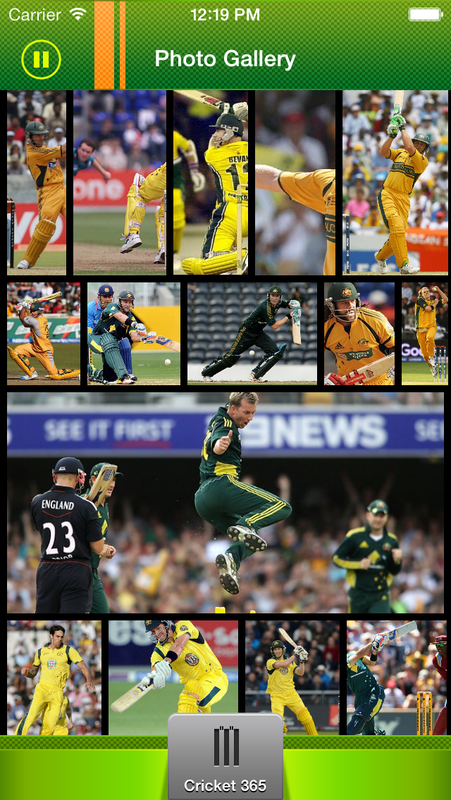 After Cricket365 Sri Lanka initial app, I have worked on the next Cricket365 iPhone App on my free time for Australian Cricket Fans with the help of my friend Julian doing a super looking design. 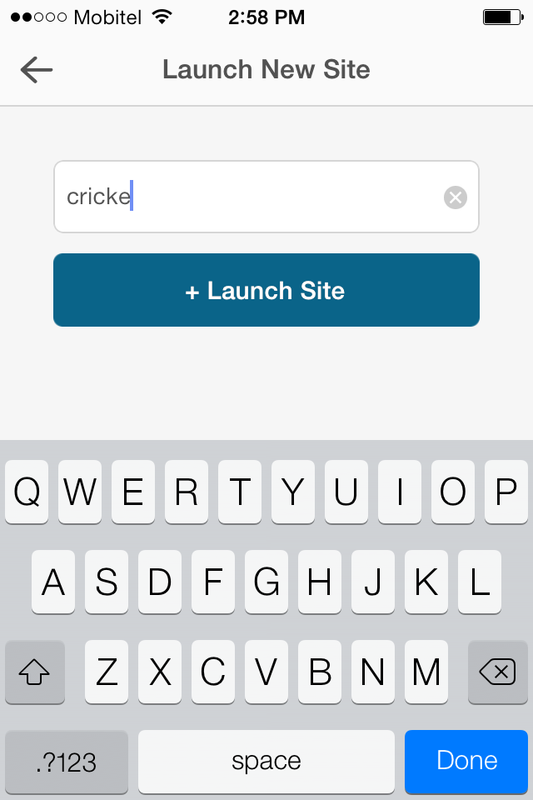 With a beautiful customised iOS7 new look Cricket365 app would be handy to Aussie Cricket Team lovers to get instant News, Videos, Images, Live Scores on their loving Cricket Team. 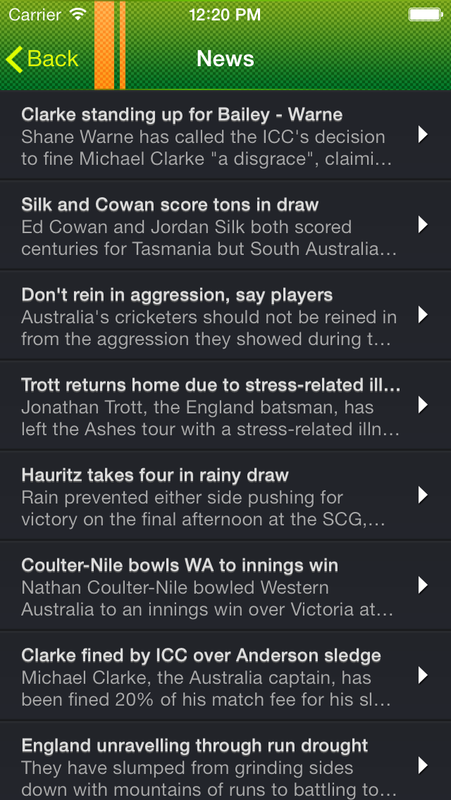 Additionally, Aussie fans can now listen to ABC Grandstand Sports Radio Live Commentary and broadcasts within the app. 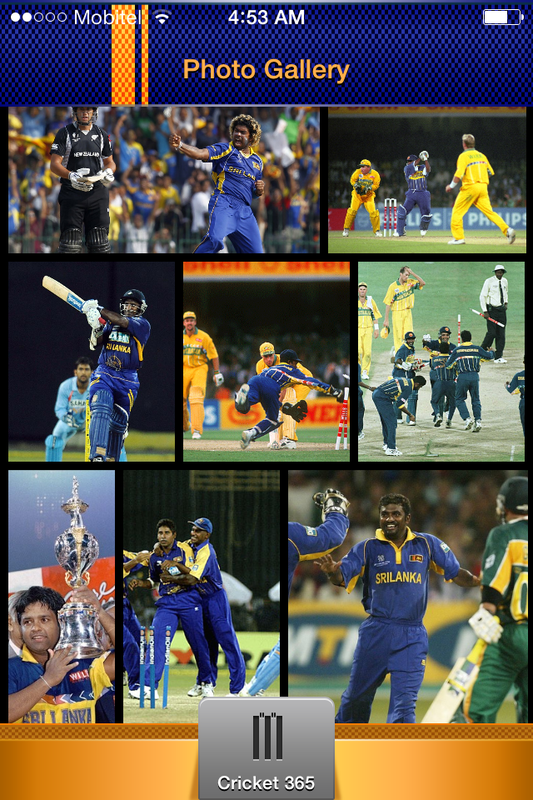 I’ve been in love with Cricket for number of years since my early school days. And I also felt in love with iOS and mobile development started from my university days. 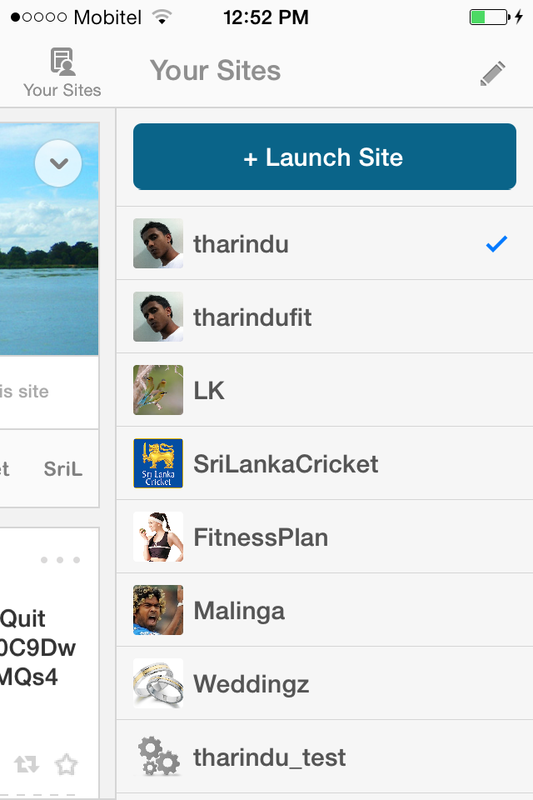 Ever since, then I had this idea of making an app for stay updated with Cricket specially for Sri Lankan Cricket Team. For my idea to become reality my friend Julian made a super design some months back for this new idea after Sanhinda app we did two years before for LiteDreamz. And finally, after working for number of months on little spare time I got I was able to submit the app for Apple AppStore. 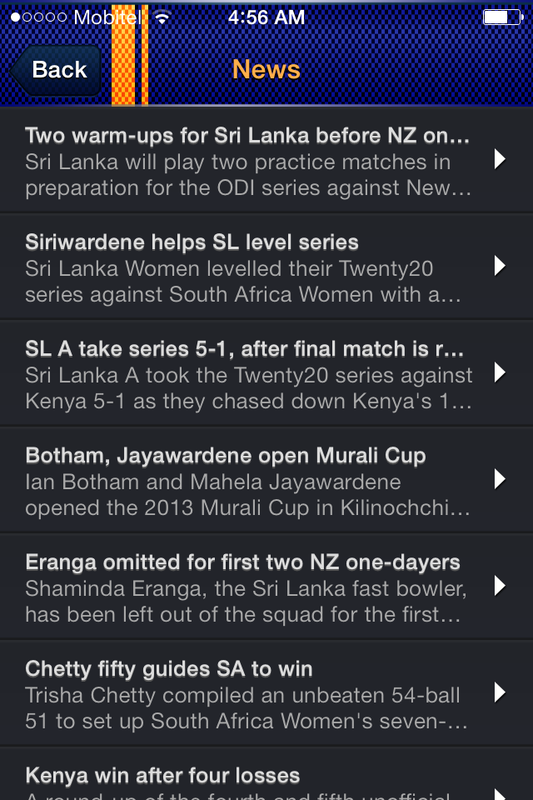 With Cricket365 – Sri Lanka app you could check out Live Scores, Image Gallery, Sri Lanka Cricket Official Youtube Feed Videos, News from CricInfo, Home Page with Key victories for Sri Lankan team, Update Twitter, Facebook status from within the app and you could also share Videos, Images in App. 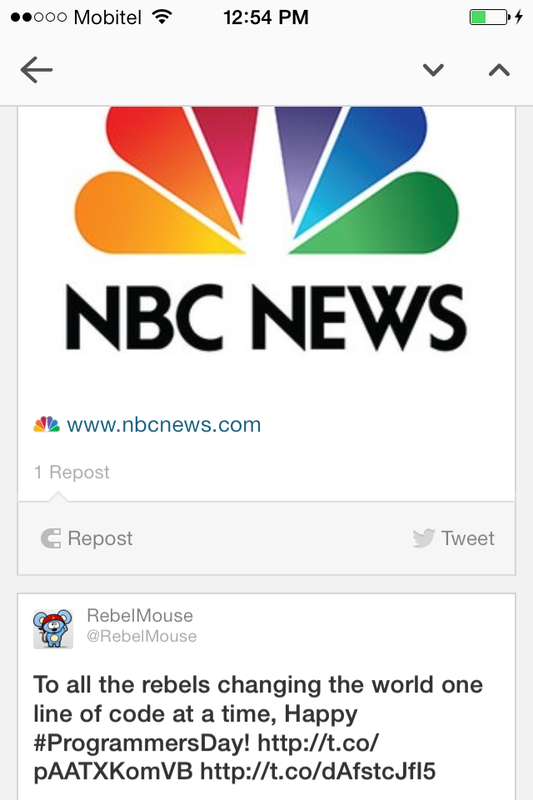 Last few months were so much interesting being part of a great team working with an app for RebelMouse. 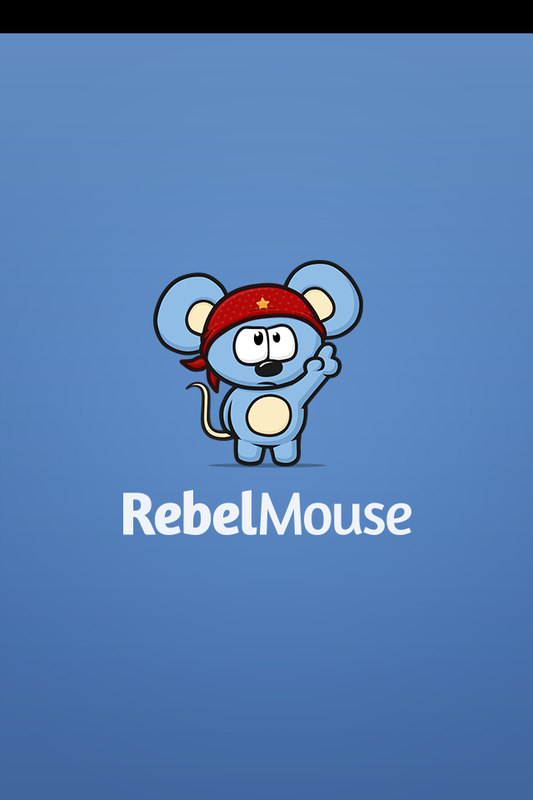 My university colleague Kasun introduced me to the RebelMouse CEO Paul Berry (former CTO of HuffPost) and CTO Nike Gurin-Petrovych in early February this year. After being in trial for two months, I was privileged to be a full time rebel joining this talented team, working from worldwide. 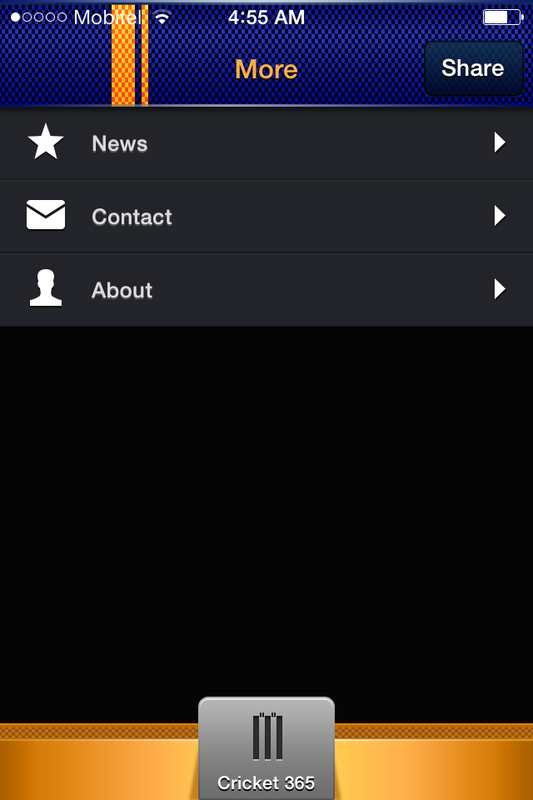 From June, I started working full time with a very talented developer Andrey from Ukraine on making this exciting app. 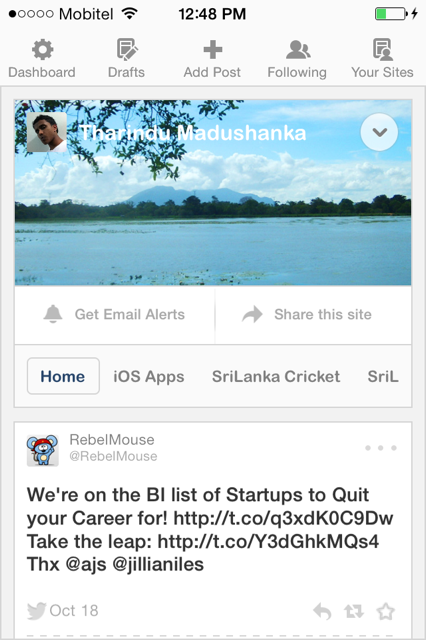 RebelMouse iPhone App got continuously improved with comments from all team mates everyday before we have this exciting initial version in Apple AppStore to be downloaded. You can also find my RM site, which is curated with all my social feeds here.